Christian survivors of a stoning in Kenya from September which led to two deaths have described what they called a "scene from hell" at the hands of a Muslim mob. Jacob Mutua Mativo, one of the survivors, has now shared details of the stoning, explaining how he and others were working on the rooftop of a building when they saw "the local Muslim men and women had engulfed the construction site and everybody was now looking for a space in the fence to escape." "I saw two of my colleagues already lying down, oozing blood from multiple injuries," Mativo said. "I thought they were still alive. While trying to jump over the fence, I was hit on the head by a huge sharp stone and another flying piece of wood broke my left arm. I passed out. That is all that I can remember." Musee Kiema told the persecution watchdog group that the believers were subjected to a "scene from hell." "It was so swift such that before we could dash out for safety, every corner was occupied by the angry mob, baying for our blood. Before I could jump over the barbed wire fence, several stones had already hit me. I saw my friend, Joseph Mwatha Mwangangi, was knocked down ahead of me close to the fence. I knew death had visited us," the survivor explained. One of the victims of the stoning at the time was identified as Fredrick Mukanda Bahati. A local pastor who wasn't named said that he and the other Christians had only been trying to earn a living. "We are not safe at all and this incident shows how Muslims hate believers in Christ. 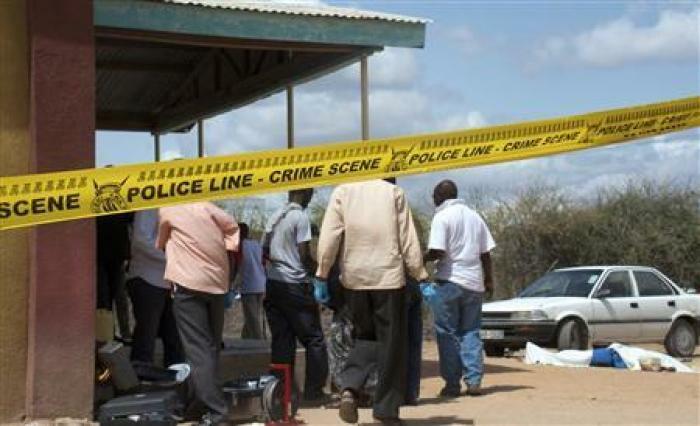 We have known it is the armed militants belonging to the al-Shabaab that kill people, but now we have discovered that even our close Muslim friends can commit atrocities against us," the pastor said. A witness who wasn't named told ICC that the men "refused to obey the jihad fighters and remained adamant that Christ is their savior and they cannot deny the Christian faith." Heartbroken relatives talked about seeing their loved ones in Heaven. Ngonde's wife, Penianh Mwatha, explained that they have a 2-year-old son who has now been made fatherless. "I don't know what my future will be, but I am persuaded that one day we shall see him in Heaven," the widow said back then through tears.